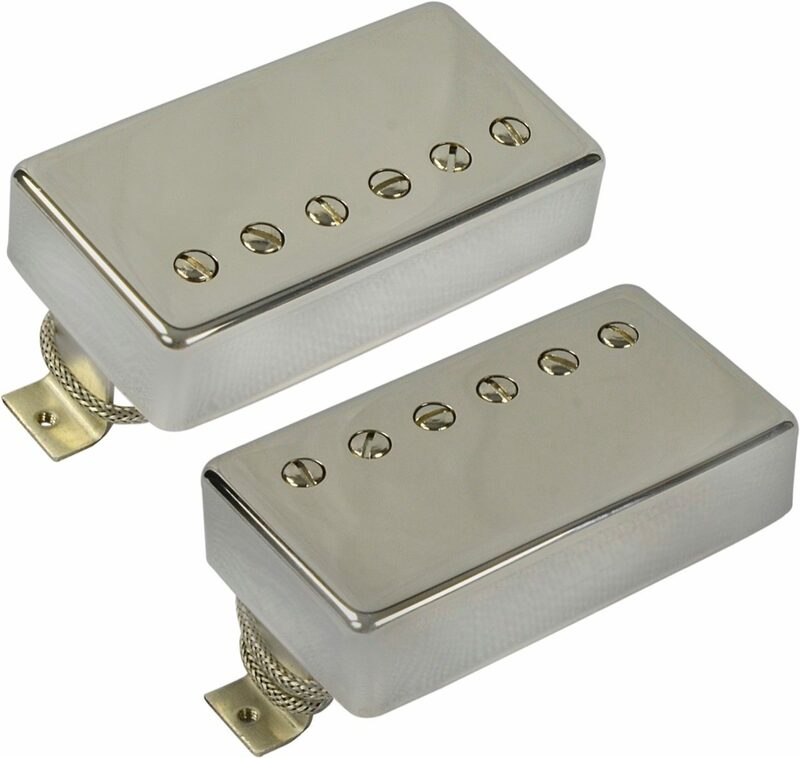 Considered to be the Holy Grail of all vintage humbuckers, the Mojotone 59' "Patent Applied For" Clones are for the tone purists who want maximum clarity and articulation of the best P.A.F. examples ever heard from the 50's. These are authentic to every detail using butyrate bobbins, German nickel-silver long leg frames and covers, vintage spec plain enamel wire, cast alnico 4 bar magnets, rock maple spacers, and vintage correct metal alloys. Unlike any other reproduction P.A.F. of it's class, we built our Mojotone '59 clone to have unparalleled dynamics in the upper frequency range, with exceptional bloom and lots of airy tone. The un-potted coils allow the entire pickup to resonate with the natural wood tone of the guitar. We meticulously wind each coil with our own pattern and offset to represent what we believe to be the best vintage P.A.F. examples out there. - (Set of 2) '59 Clone Clone Humbuckers neck and bridge. "Mojotone 59 Clone Humbucker Pickup Set"
Overall: I just finished installing a Mojotone 59 Clone Humbucker Pickup Set into an Epiphone Les Paul Standard Gold Top. WOW! I had a hard time putting the guitar down. The tone is awesome. I play Blues, Blues-Rock, and this is the tone I was looking for. Plugged into a Fender Blues Deluxe Reissue the tone is beyond anything I had hoped for. Buy a set of these and you won't regret it.